Put on your mask and shut the light! Now turn it up - enjoy the fright. Good spooky grey October morning, all. 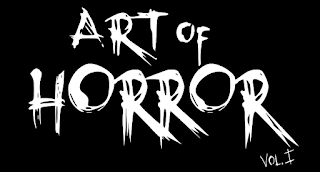 Today holds a few releases from local horror artists. The second installment of Mission Arizona is due to be announced. If you follow them on facebook, you have been teased and treated all week. I have a short horror entitled 'Thicker Than' in the West Pigeon Press anthology For When the Veil Drops out today. But, really, this is what I have been waiting for. Patron Saint of Plagues world release of Scary Tales! 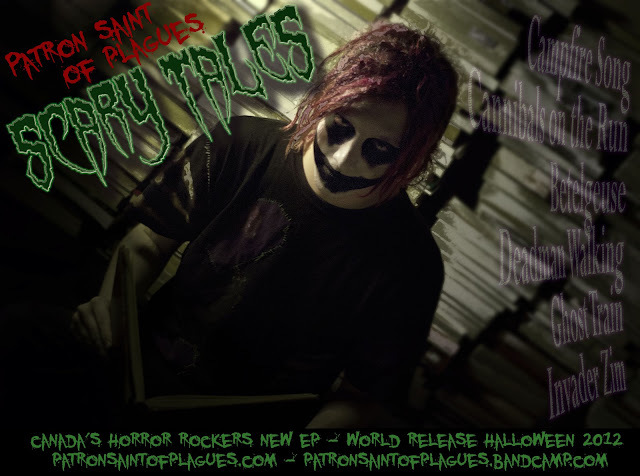 A six six six song EP just in time for All Hallows Eve! If, like me, you pre-ordered, then carry on. Turn it up. If no, follow the clicky links and snag this collection ~ Makes a great gift for your favorite abominable audiophile too!